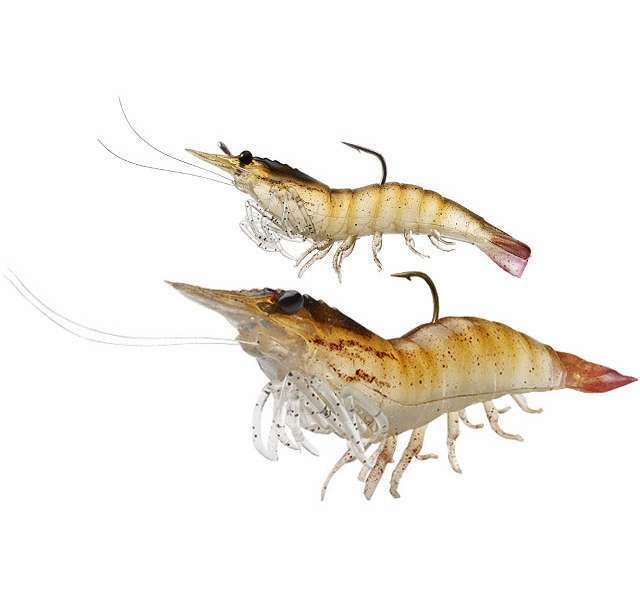 The LIVETARGET Shrimp body is infused with real Shrimp; the rear swimming legs are designed to create the illusion that the bait is propelling itself forward, perfectly mimicking a live shrimp. - Select Option -4 in.3 in. 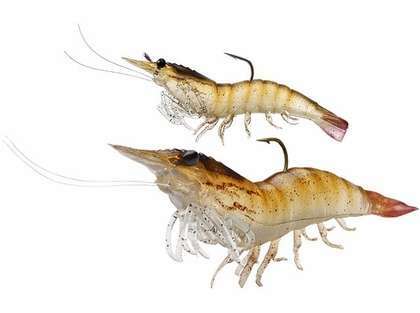 The LIVETARGET Shrimp is designed to outfish the 'real' deal. 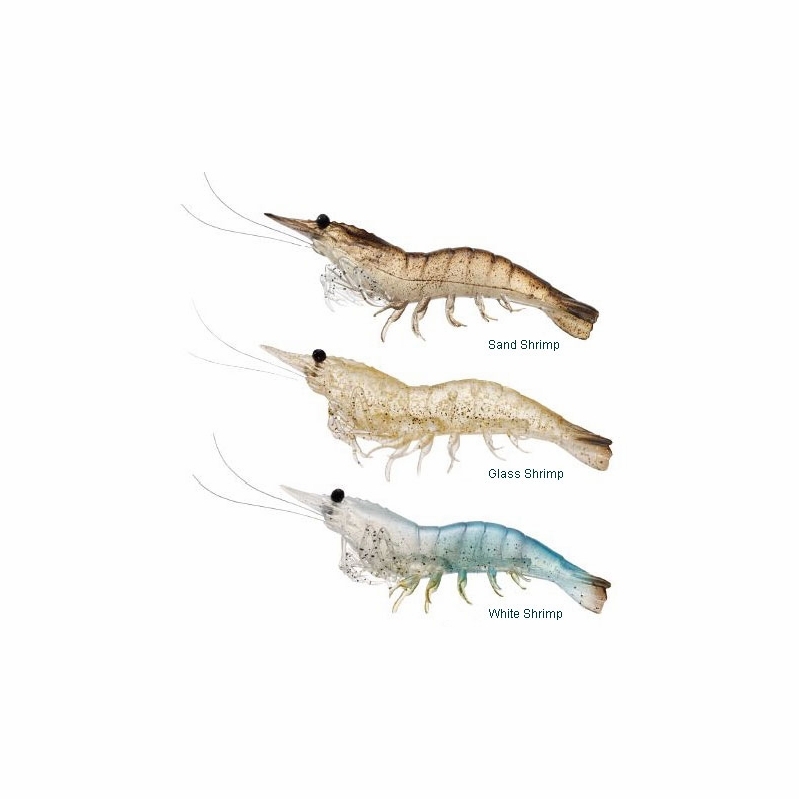 The body is infused with real Shrimp while the rear swimming legs are strategically designed to create the illusion that the bait is propelling itself forward, perfectly mimicking a live shrimp. Shrimp are the single most important forage for all saltwater game fish. Most saltwater predators, including Sea Trout, Redfish, and Striped Bass, can't resist the temptation of a Shrimp. going to try one for squidding in Long Island this fall. Just purchased live target 4" shrimp and have already caught speckled trout, red fish and black drum off my dock. These baits look so really you want to start boiling water but instead you will fire up the grease for all the fish your going to stringer ! The smaller 3 inch work better on most for me but there are times the larger ones work better so buy them both ! I haven't fished with them yet but I feel they will work well. Used these in port aransas in the 3 inch size and they were fantastic. Pinfish started tearing into these, but then the slot reds started to show up and the fights were on! As stated in the other review, these don't cast that far, but free lining them with the currents and tides makes these irresistible! Not to mention, these seriously look like shrimp! Pitched around columns of bridge for snapper. Was using in competion with real shrimp. The LIVETARGET shrimp look amazingly real. Their design allows for excellent action on the lure and awesome live presentation. The real shrimp of course way outfished these but I was amazed at the smell these give off, you can smell it yourself when you pick them up, and the excellent ability to add action while fishing these lures. Huge advantage was while real shrimp I was replacing every couple casts the LIVETARGET keep going and going without losing sent or tearing up. 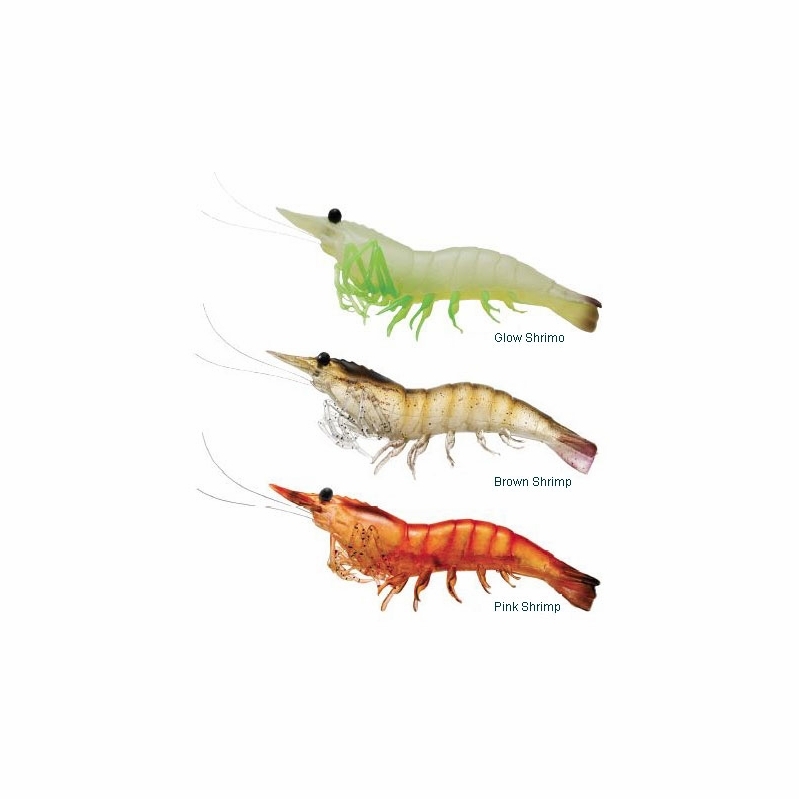 I will continue to use these and I think these are one of the best natural shrimp lures out there! ConsOutfished by real shrimp but Next time I think I will use florocarbon with these and I think this will help with the timid bridge fish. ConsCould use some kevlar in the body of the shrimp to toughen them up a bit. We would recommend you use the Pink Shrimp for the beach in Key West in February. Brown Shrimp or Sand Shrimp should work best. I do surf fishing with cut bait shrimp. Can I use this and if so how do I fish it?